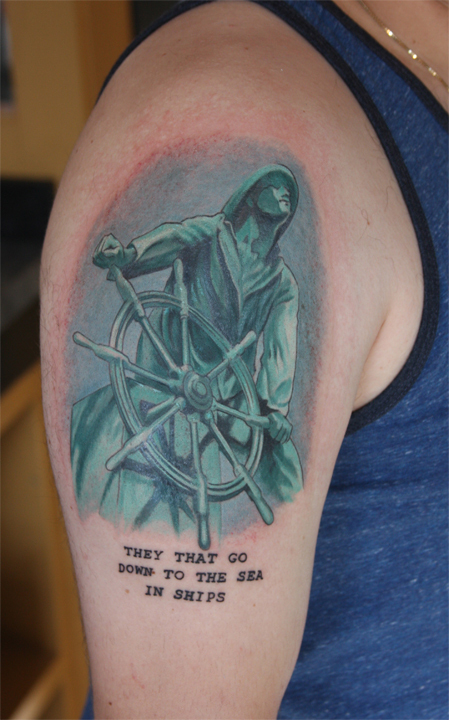 Here’s a piece done by Matt Maguire at The Compass Rose Custom Tattoo’s in Down Town Gloucester called Man at the Wheel. 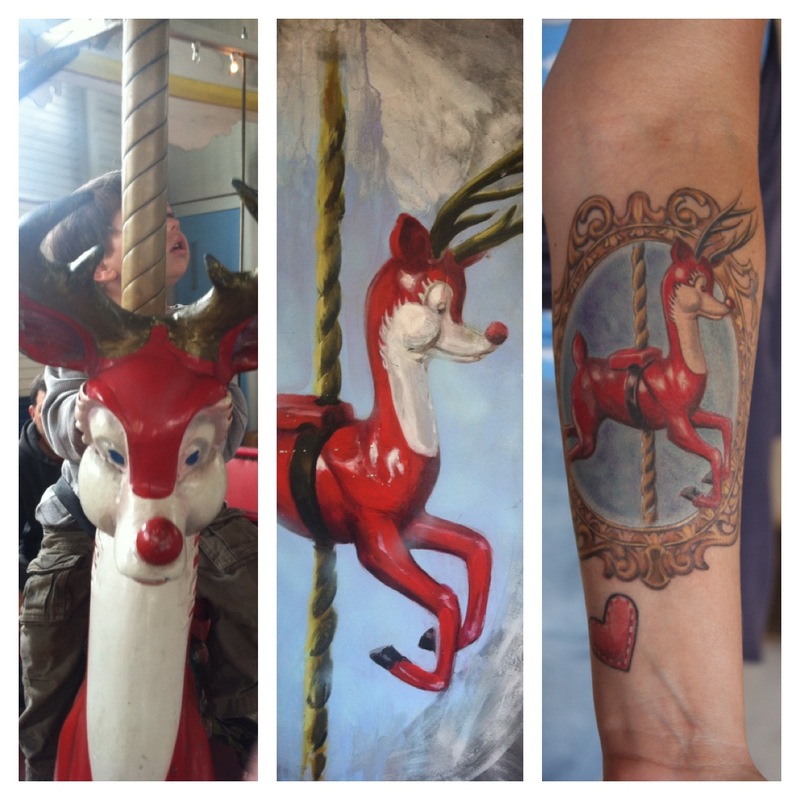 The Color Tattoo is based off the Famous statue overlooking Gloucester Harbor. Looking for a Tattoo or tattoo ideas contact us at info@compassroseink.com or call (978)281-2573 and we will be glad to see your tattoo ideas become a reality.